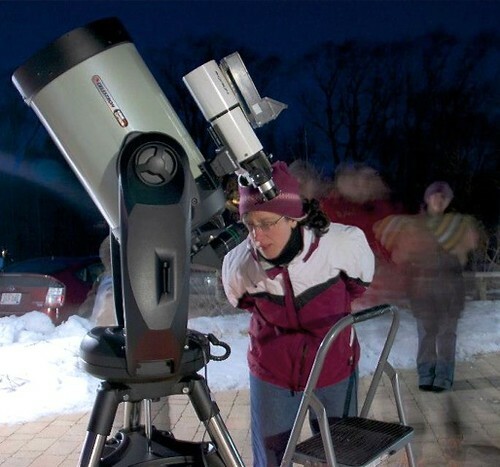 Join amateur astronomer Robert Powell for another evening of stargazing at Lynden. We will begin with a brief talk at 7 pm that introduces the principles of the telescope, advice on borrowing and buying telescopes, and a few of Rob's favorite astronomy books. At 7:30 pm we will move outdoors for a look at Neptune and Jupiter, the Ring Nebula, the Great Globular Cluster and, if the light pollution isn't too bad, the Andromeda Galaxy. You are welcome to bring your own telescope, but don't worry if you don't have one--Rob will provide a 11" Schmidt-Cassegrain or 13" Newtonian telescope. Dress appropriately for the outdoors. Robert Powell is an amateur astronomer and member of the Northern Cross Science Foundation, an astronomy outreach organization in Milwaukee's North Shore. In 2003, he was one of six people in Wisconsin to be appointed to NASA's Saturn Observation Campaign. The international outreach program of the Jet Propulsion Laboratory was designed to engage youth in the excitement of astronomy.